I have a new found love for anything vintage. Vintage is one of those words that means something slightly different to each person. My idea of vintage is texture, dimension, and warmth. As a Stampin’ Up Demonstrator, I receive a monthly publication called Stampin’ Success. It is a tool that Stampin’ Up! sends every demonstrator to help inspire growth in our business and creativity in our projects. In the past 2 issues, I’ve been inspired by a few articles and the projects I have to share today are the results of that inspiration. This card has a lot going on. 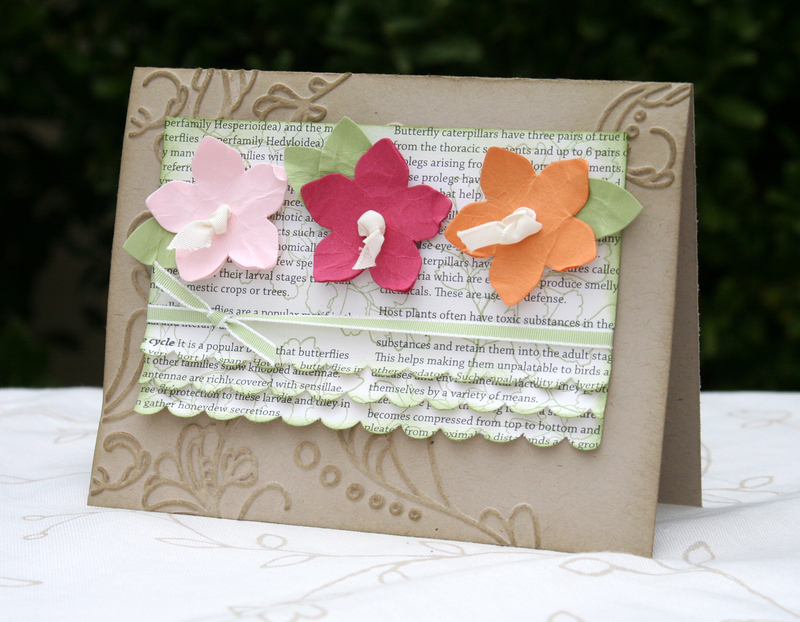 Crumpled flowers, ruffled layers of paper, textured cardstock and knotted ribbon. These flowers are cut using the Island Floral Die. I almost always make my leaves with the 1-3/4 Circle Punch. Punch one circle, then re-insert it into the punch and punch a leaf shaped section. This way you can vary the size of each leaf and they are quick to make. This next card has a great texture treatment. 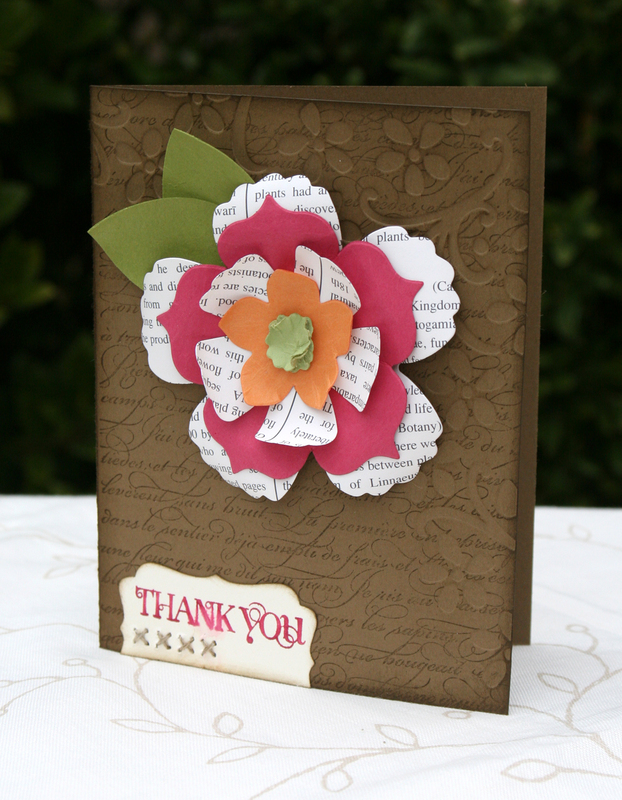 Unfortunately I did not come up with this on my own, it was shown in Stampin’ Success. The textured background is achieved by using the Elegant Bouquet Embossing Folder to create a debossed background. Then I stamped over the entire background using the french script background stamp. Make sure that when you do this, you don’t press too hard, one of the nicest things about stamping after debossing is that the stamped image does not get into the recessed area from the embossing folder.